Compared to non-voters, voters are more likely to volunteer, contact their elected officials and stay informed about local affairs. Here are four essential voting tools that will help you be prepared for the polls today. The polls are open from 7am to 8pm today, November 4, 2014. 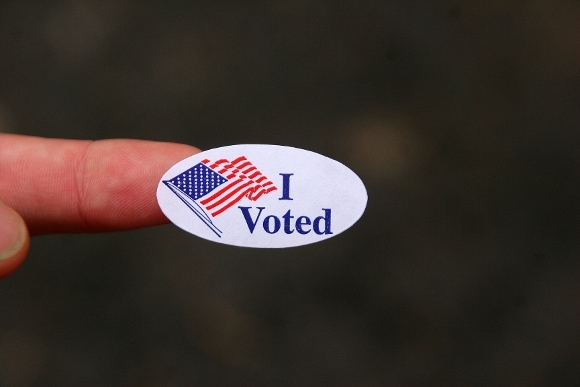 Voting is linked to a host of positive benefits. Compared to non-voters, voters are more likely to volunteer, contact their elected officials and stay informed about local affairs. They are more likely to contribute to their neighborhood's "social capital" and live in communities where neighbors are in contact with one another. Being a voter is with associated better health outcomes, reduced unemployment, lower recidivism rates, and the like. Here are four essential voting tools that will help you be prepared for the polls today. Use them yourself or share with your staff, partners, and the people you serve. The Pew Voting Information Project, Google, and the Internet Association have collaborated to help voters find their polling place with www.gettothepolls.com. Enter your address to find your polling place and get directions. These national hotlines are live and ready to help people vote. Voters can also use them to report a problem or get legal assistance voting. Call 1-866-OUR-VOTE (687-8683) for assistance in English or visit www.866ourvote.org. Call 1-888-VE-Y-VOTA (839-8682) for assistance in Spanish or visit www.veyvota.yaeshora.info. Call 1-888-API-VOTE (274-8683) for assistance in Cantonese, Mandarin, Korean, Vietnamese, and Bengali. Call your state's voter hotline. 4. What's On My Ballot? For the first time, Google answers this question--in detail. Ask Google "What's on my ballot?" Enter an address, zip code, or state to view a list of candidates and statewide measures that will appear on the ballot. Or get a personalized ballot from the League of Women Voters' Vote411 tool. Nonpartisan voter guides are often provided by your Secretary of State, local chapters of the League of Women Voters, major newspapers, or voter education partners. Sample ballots are often available on your state elections website or accessible through online voter information portals. Paper copies are usually available at your local elections office. Use the iVoters sample ballot tool to see a list of statewide offices and ballot measures. Visit Ballotpedia to learn about the 2014 statewide ballot measures. Learn about voting as an ex-offender. *For addition Election Day resources and tools, see Nonprofit VOTE's complete Election Day Toolbox.